Ready to move in! The owners of this lovely, well laid out 4 bedroom 2 full bathroom have spent the winter preparing for you to move into a fresh, updated home on a quiet street in a highly walkable location! Upgrades include freshly painted rooms in decorator colors, new quartz kitchen countertop, sparkling newly refinished wood floors throughout first and second floors, new laminate flooring and finished ceiling in lower level office/playroom, new energy efficient ~tilt-in~ windows, brightly redone hall bathroom. This is in addition to having already replaced the roof with a 50 year shingle roof with transferrable warranty and replaced central air conditioning compressor. Bright, sun drenched, open first floor overlooks fenced rear yard with easy maintenance perennial plantings and has wood-burning fireplace for cosy winter evenings. All four bedrooms are good sized with good closet space. Main bedroom has en-suite bathroom with tiled shower, and full stairs up to attic for additional storage or home expansion. 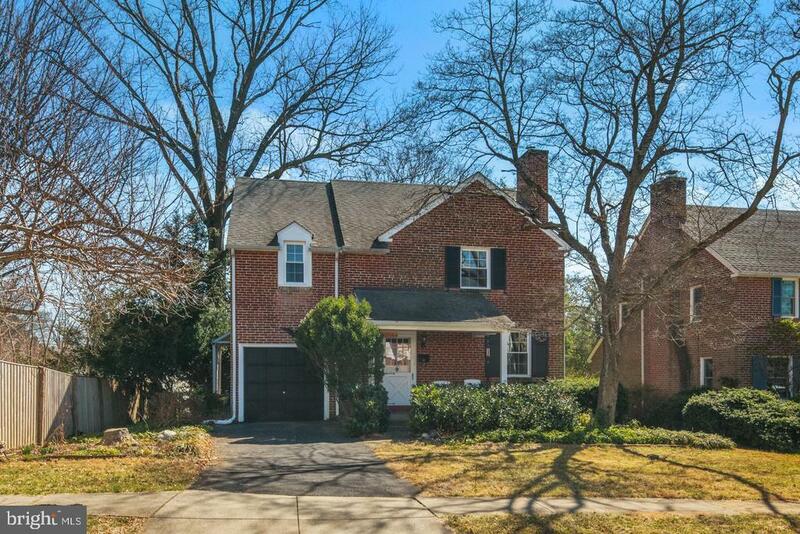 Lovely quiet street, within walking distance to award-winning Penn Wynne Elementary School, library, shops, three parks and Norristown high speed line. One car garage has direct entry to house. This home is just the right size for easy living, in just the right location for quiet and convenience.